If your vehicle has an automatic transmission—and it probably does—then shifting gears should be a relatively simple, seamless matter. 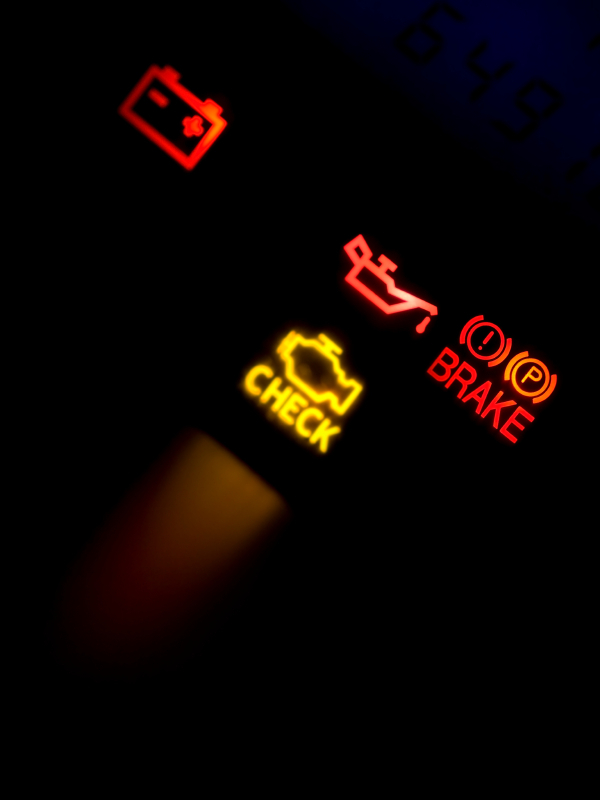 If the engine seems to hesitate or stall before shifting from one gear to the next, that could point to a maintenance issue, and potentially to a mechanical problem. 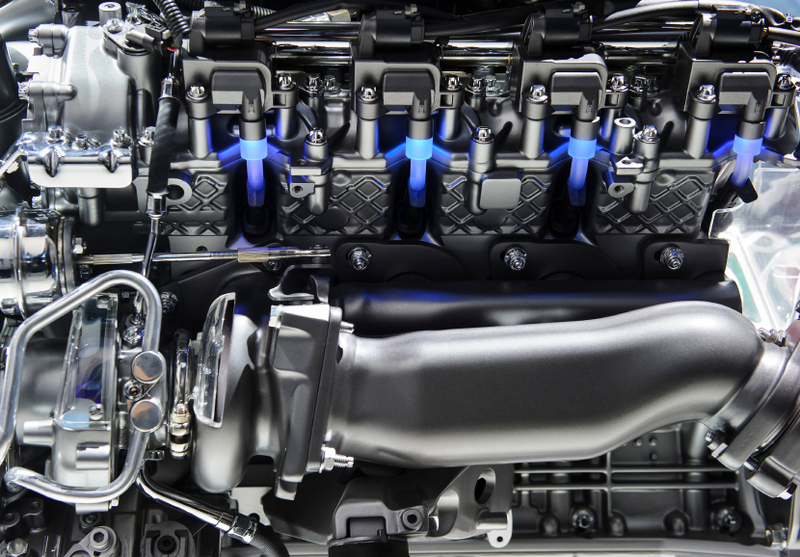 Before you panic, though—and before you take the vehicle in for servicing—note that the solution could be as simple as replenishing the transmission fluid. 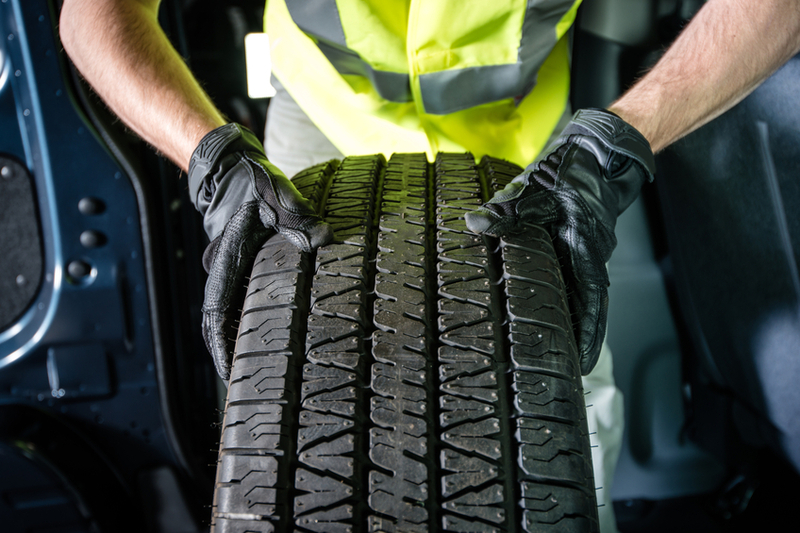 This may be something you have never done before, but it’s an easy DIY vehicle maintenance task that could save you a few bucks and a trip to the shop. The first step is to locate the dipstick; this will look basically like your oil dipstick, although color coded, to help you tell the two apart. The exact location of the dipstick can vary. In rear wheel drive vehicles, it is usually toward the rear of the engine. In vehicles with front-wheel drive, the dipstick will usually be found sticking out of the transaxle, and in most cases is toward the front of the engine. Ensuring that your vehicle is in Park or Neutral and that your parking brake is on, start running your engine. Leave the engine running for a moment as you pull out the dipstick, ensuring the engine is warm as you check the fluid level. Next, dip your index finger into the fluid on the dipstick, and rub it between your finger and thumb. Hopefully, what you see is some pink- or red-tinted, mostly clear liquid. Pay attention to the smell of something burning, or to particles present in the fluid. Both of these are signs that you need to change the fluid right away. Use a clean, lint-free rag to wipe the dipstick clean, re-insert it, and check the fluid level again. 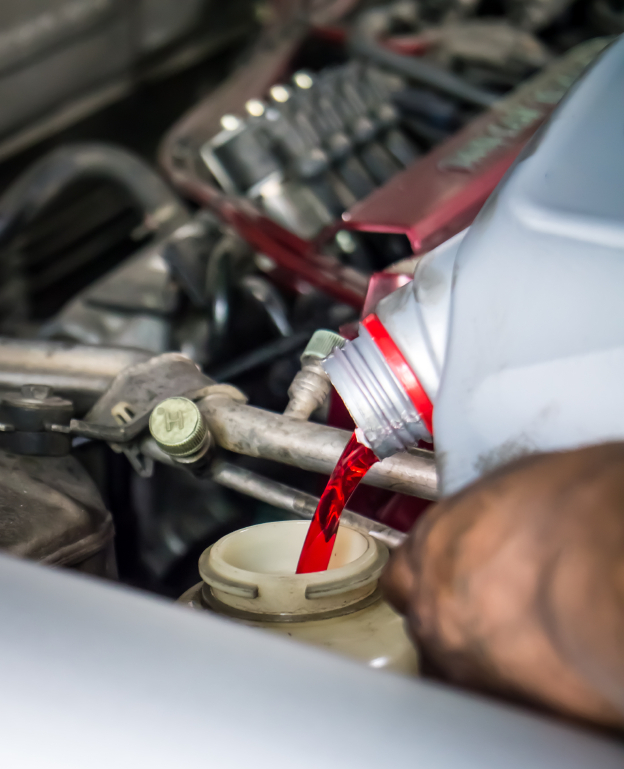 If you see some of that pinkish liquid but it does not quite reach the “full” level, use a funnel to pour a bit more transmission fluid into the tank—enough to reach that line, but no more! Don’t overfill! Make sure to reinsert the dipstick when you’re finished. Note, if you do add more fluid, there are many different types of transmission fluids out there. For optimal performance, you will want to use the type specified in your owner’s manual. Make sure you double check this before purchasing the new fluid. If you identify the signs that your fluid needs changing, and if you’ve never done that before, your best bet may be to bring it in. Make an appointment at Meineke today, and ensure that your fluid is changed out before you experience any bigger issues or more serious problems with the vehicle!